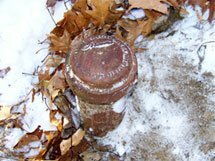 Mike Lalone Well Service provides homeowners and businesses with a wide range of water well drilling and pump services in Oakland County, Michigan. We have years of experience and only use the best equipment and products to ensure quality results. 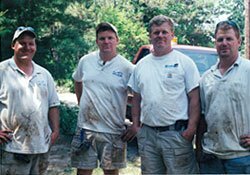 Whether you need pump installation, repairs or drilling, we’ll get the job done right and to your complete satisfaction. We have new lightweight equipment that is small enough to access hard-to-reach areas with minimal lawn damage, and our owner alone has 40 years of experience. If you would like to schedule service, contact us toll free at 1-866-620-0550. We are dedicated to quality, and we value our customers. 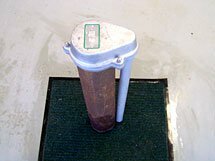 2” Deep well Jet Pump, this well head is common for shallow wells and older style of wells. A common issue with this system is poor pressure, noisy, and not many contractors who work on them. 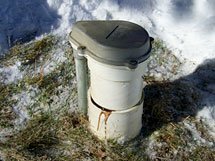 The most common problem with this well will be the pump runs for a long time or may not even shut off. The main culprits will be a hole in the piping, plugged jet, or the screen is plugged. Options for repair will be of your future of your home, if a long time, then replace well with an updated submersible pump. If short term it is a gamble but you may try and repair it. 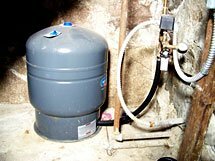 There are many names for this: pressure tank, diaphragm tank, the 'blue thing' in the basement - either way a critical component to the well system. The purpose of the tank is to ensure that the pump system has a long cycle time (45 seconds or more) and when the pump is off, the tank will supply water to the system until almost empty allowing the pump to turn back on. The diaphragm is a separating membrane to keep the water and air separate whereas in the past were there was and open tank, the air would deplete in a year and water log the tank. 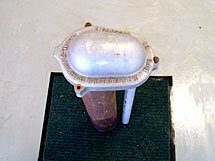 The tank should have a pre-charge of air around 30 to 38 PSIG. The main issue of the tank is water log in which the pump is cycling fast to keep up with pressure, also pulsating pressure at the faucets or shower. Tank problems often result with a dead pump, water softeners acting up, burnt up switch and control box. If there seems anything screwy with the water, you need to have the tank inspected. As a word of caution, if the job is done wrong, you can destroy the pump and the well. So if you are unsure call our professionals! 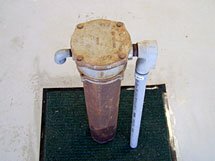 Is your water smelly or rust colored? 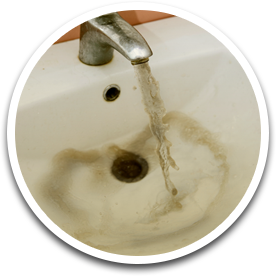 We will analyze your water and develop a plan of action to fix it. The contents of this webpage are Copyright © 2019 Mike LaLone Well Service. All Rights Reserved.